Mid-Autumn festival is one of the festivals that I came across in Singapore. However other than mooncakes, I didn’t know much about festive celebrations until the recent participation for the lantern festival. With my preschooler, now I get all sorts of opportunities to learn bit about the culture in this country because his school allows us so many opportunities to participate with such events. 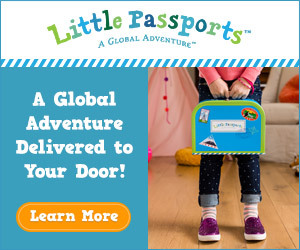 While these are great opportunities for the kid to learn about other culture, I also find it as a way to join with the community. Working full time and most of the time stay late at the office to complete my work load, earlier I didn’t have such opportunities to look around. 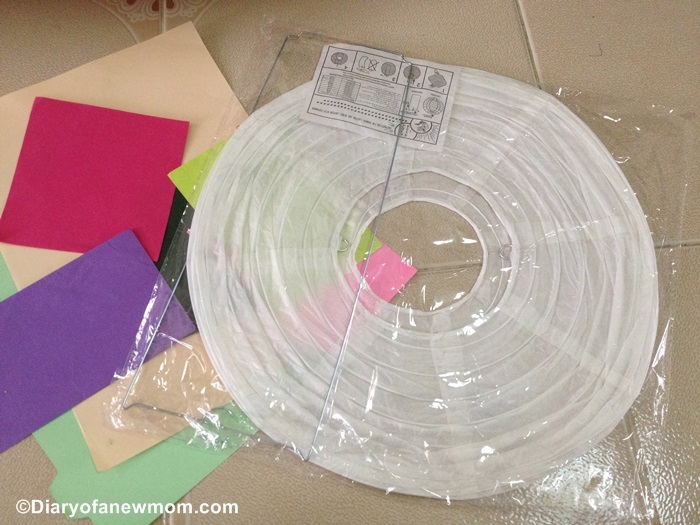 But now as a self-employed person, I find it is relaxing and it is easy to plan my schedules while spending more time with the kid. This lantern festival was held in a park near our place, so we could enjoy our time walking there at the night. 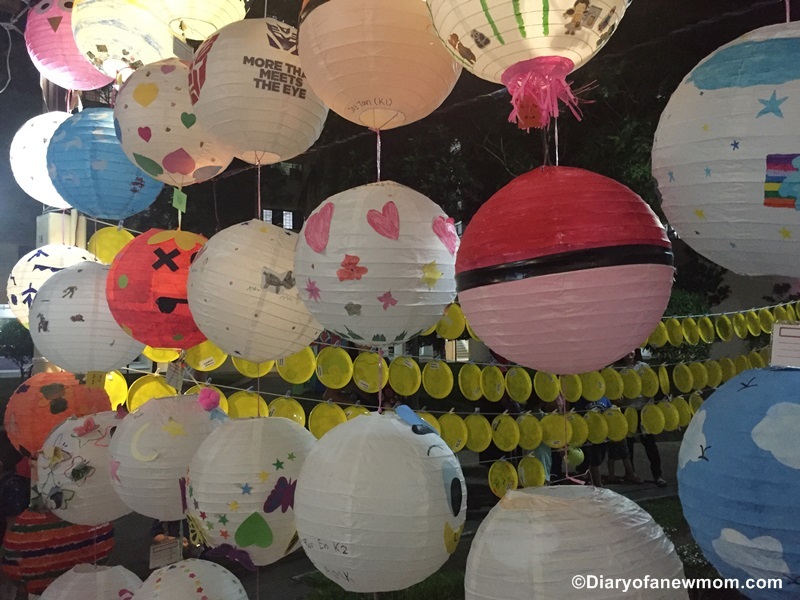 Here are some highlights from the lantern festival! 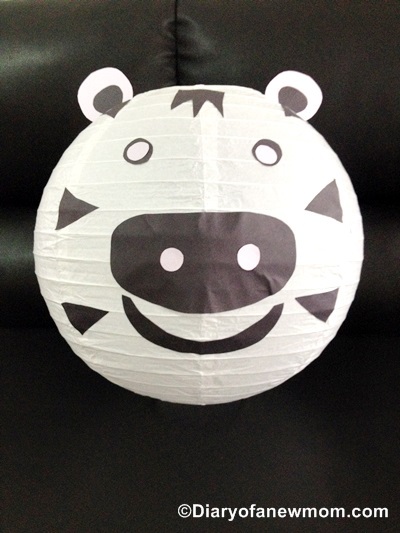 We found our Zebra paper lantern at the first set of lanterns! 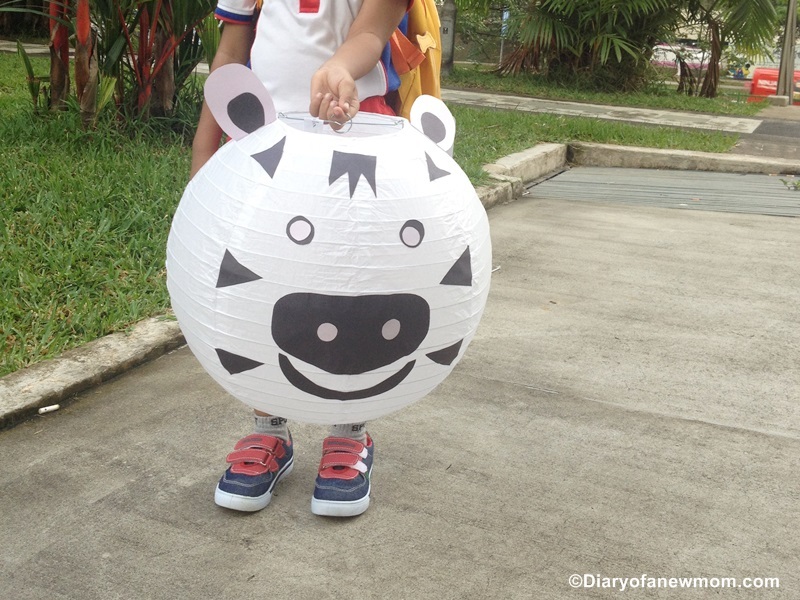 Kid was so happy to see his lantern among others..
Do you remember the Zebra lantern which we decorated at home for the preschool? 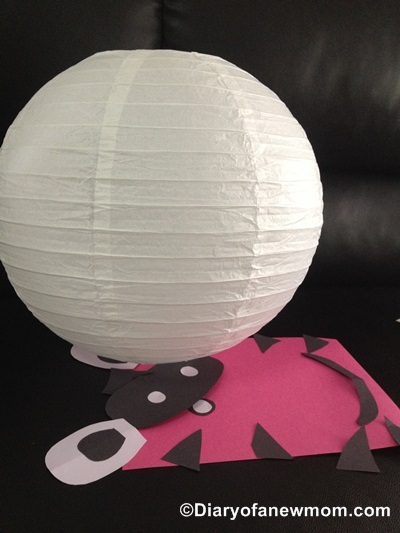 That paper lantern decoration was for the Mid-Autumn Festival (Lantern Festival) in our neighbourhood. 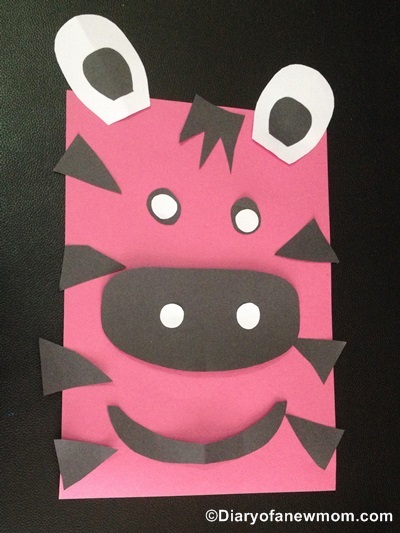 Other paper lanterns decorated by preschool kids. 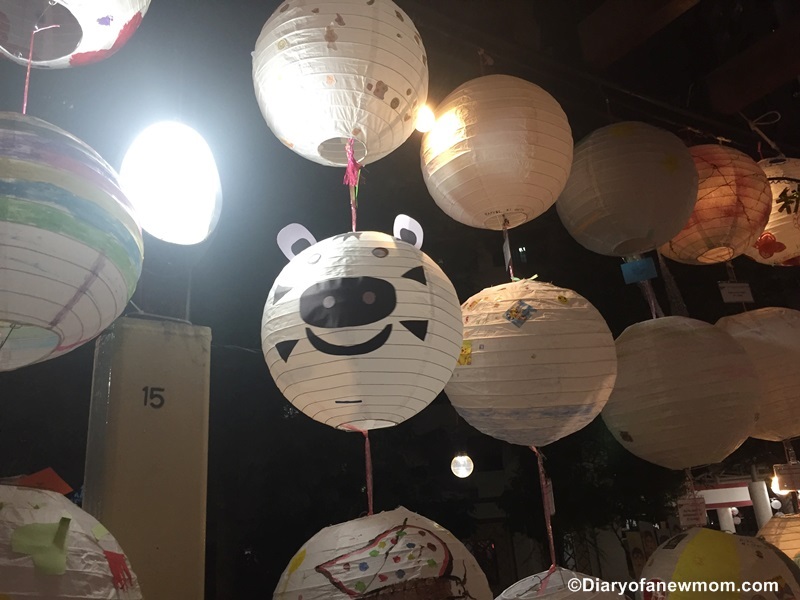 The lantern festival was glowing with the beautiful paper lanterns decorated by preschool kids around the neighbourhood. It was a colourful night that dazzled by lanterns. 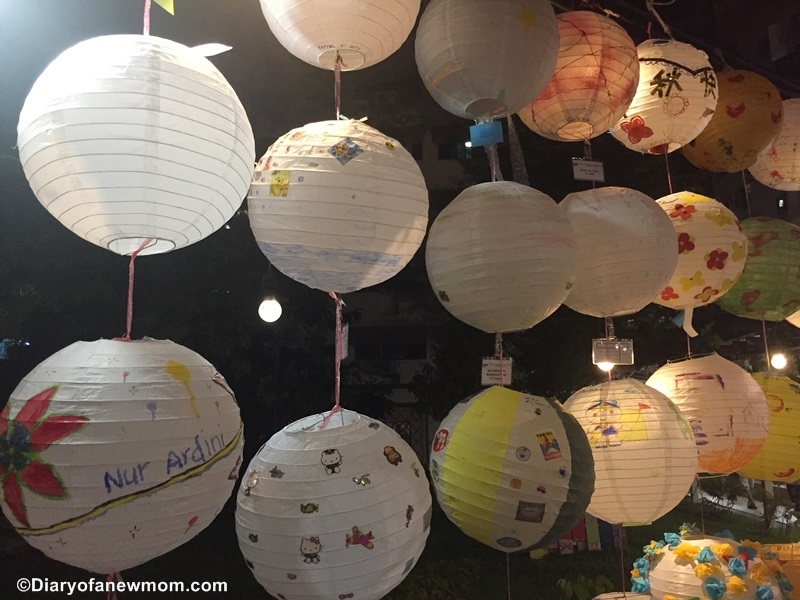 It was a good collection of paper lanterns which proved the crafting talents of these little kids.Some were decorated with stickers.Some were decorated with paintings.All were equally beautiful and colourful. 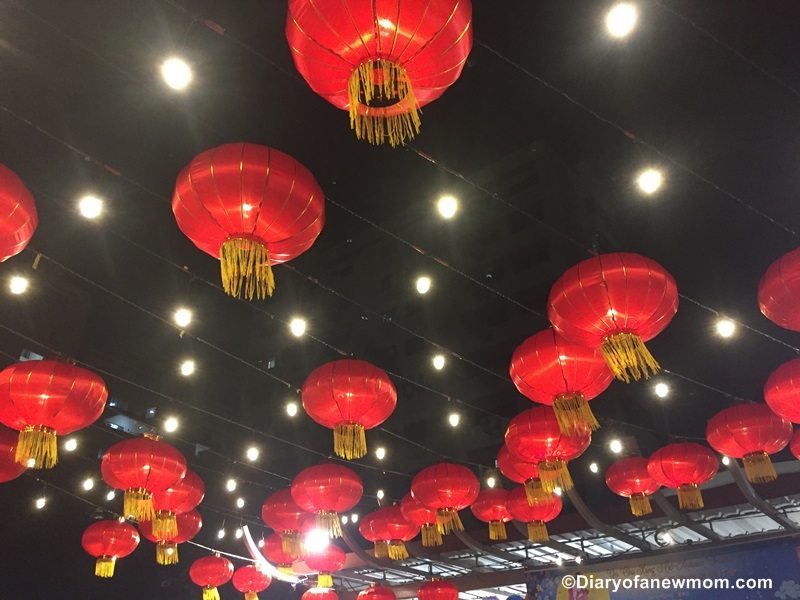 Other than the paper lanterns decorated by the kids,there were also other red lanterns to make the festival colourful and cheerful.Though I don’t have photos to share,the event was full of other games that allowed both kids and adults to participate. 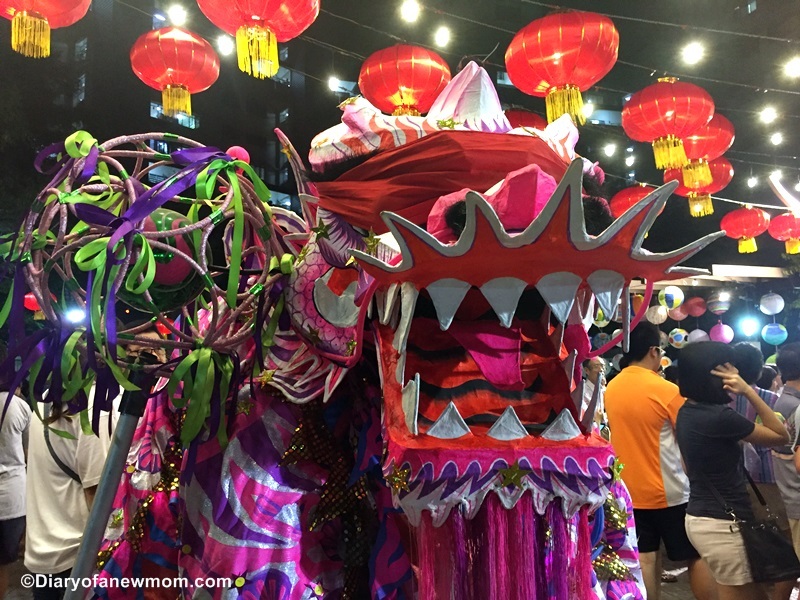 Not only the games,we also found cultural shows such as Lion Dance during the festival time.It was such a good night that we spent together around our neighbourhood! Do you like such festivals that celebrates as a part of culture?